If you are looking to buy a Kia Soul near Sandy Springs come to Ed Voyles Kia, where our friendly staff will take care of all your automotive needs. 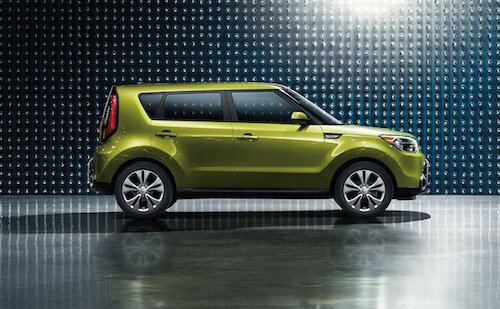 We offer an extensive selection of beautiful Kia Soul models to choose from. Browse through our dealership stock of vehicles online to see the prices and specs for new and used Kia Soul, inventory. Take a test drive today when you visit our Kia dealership near Sandy Springs, GA. Kia Souls are in stock now, and you can take delivery of your new car right away. The Soul is a high quality automobile, and combined with dealer special offers or manufacturer incentives, you can save money on a beautiful new vehicle when you buy or lease a Soul near Sandy Springs, GA.
We also offer parts and service for a Kia Soul. Sandy Springs residents can check our site for service coupons on oil change, brakes, tires, alignment, and more. Stop by our dealership today to service your vehicle, or shop new and used cars at Ed Voyles Automotive Group. 2019 Kia Soul Near Sandy Springs, GA KNDJX3AAXK7695199 White ! 2019 Kia Soul Near Sandy Springs, GA KNDJX3AA8K7695315 Silver ! 2019 Kia Soul Near Sandy Springs, GA KNDJX3AA3K7694914 Black ! 2019 Kia Soul Near Sandy Springs, GA KNDJX3AA2K7694578 Red ! 2019 Kia Soul Near Sandy Springs, GA KNDJX3AA2K7699733 Black ! 2019 Kia Soul Near Sandy Springs, GA KNDJX3AA0K7696068 Black ! 2019 Kia Soul Near Sandy Springs, GA KNDJX3AA0K7697589 Silver ! 2019 Kia Soul Near Sandy Springs, GA KNDJX3AA5K7005665 Red ! 2019 Kia Soul Near Sandy Springs, GA KNDJX3AA5K7007349 Red ! 2019 Kia Soul Near Sandy Springs, GA KNDJX3AA9K7698143 Red ! 2019 Kia Soul Near Sandy Springs, GA KNDJX3AA9K7000453 Silver ! 2019 Kia Soul Near Sandy Springs, GA KNDJX3AA1K7695804 Gray ! 2019 Kia Soul Near Sandy Springs, GA KNDJX3AA1K7695706 Gray ! 2019 Kia Soul Near Sandy Springs, GA KNDJX3AA7K7007935 Silver ! 2019 Kia Soul Near Sandy Springs, GA KNDJX3AA5K7009117 Silver ! 2018 Kia Soul Near Sandy Springs, GA KNDJX3AA3J7617300 Silver ! 2018 Kia Soul Near Sandy Springs, GA KNDJX3AA6J7615833 Black ! 2018 Kia Soul Near Sandy Springs, GA KNDJX3AA7J7616621 White ! 2018 Kia Soul Near Sandy Springs, GA KNDJX3AA0J7539462 Orange !